I must admit that I´m not a big fan of quotes. But I´m always up for a challenge. One quote that has stuck into my mind and one that I sort live by "Sweat is fat crying". I love to work out at the gym! I made this layout using mixed media techniques. The background was made with a lot of gesso and paint splatters with really wet metallic water paint. 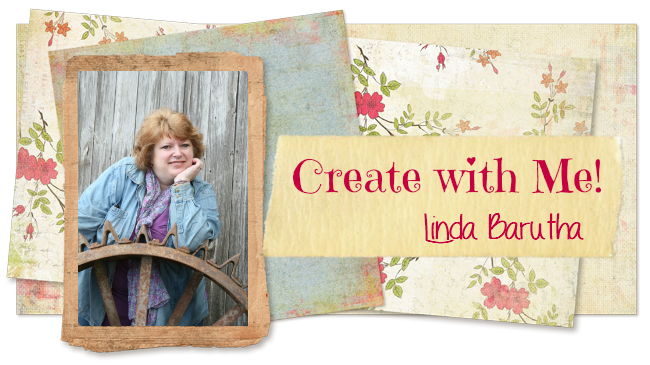 I used a Linnie Blooms canvas shape that I stamped on with permanent ink as a backdrop for my photo. The Linnie Blooms canvas butterfly was painted with the same metallic paint as I dribbled on the background. The buttons and chipboard was a variety of colors, so I covered them with a thin layer of gesso to hold it all together. The picture was taken at my local gym - Victory Gym. Have a really nice day - and from a nutty Cardiac Nurse - move and think of what you eat! Your page is just FABULOUS! Love all the textures and colors!